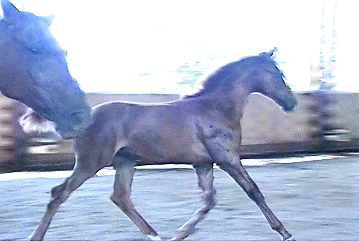 Rachel - 2018 Yearling Filly out of MS Noblette by Razmataz. 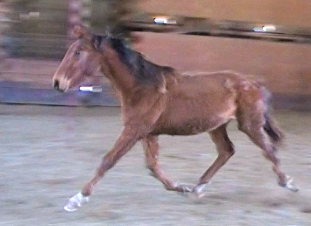 Born 1-5-18. this sweet bay filly has phenomenal movements. Noblette is a thoroughbred mare who passed the mare performance test with the Hanoverian Society placing her in the Main Studbook. An injury ended her promising dressage career. Rachel is Noblette's first foal and just as lovely as her mother. $5900.00. Remy - 2018 Yearling Filly out of MS Gala by Razmataz. 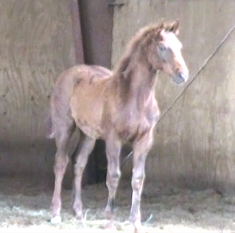 Born 5-9-18 this fabulous filly is an amazing mover and has a sweet temperament. 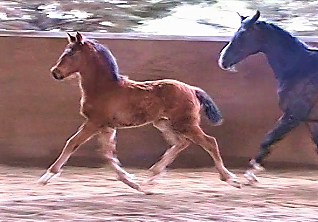 Gala's offspring are incredibly intelligent and easy to work with. They are quick to learn and very willing. $5900.00.